The Dining Hall includes an Entrée Buffet, Soups, Salads, and Sub Station. These prices are not for those participating in a board plan. Contact Student Housing for more information about Board Plans. Do you need accommodations for special dietary needs or want help changing your board plan? Birthday Cake: Choose the cake flavor, icing, and the color, too! Cookies by the Dozen: We’ll bake your student’s favorite gourmet cookie. Whole Fresh Fruit: Give your student a more “Health Minded” gift with 14 pieces of whole, fresh fruit. Giant 1/2 Pound Cookie: A heart shaped, fresh-baked chocolate chip cookie decorated with white cream and milk chocolate icing. Personalize the cookie with up to a 5 word message. Survival Pack: Several easy grab and go items we know students love to help keep them going through the day. 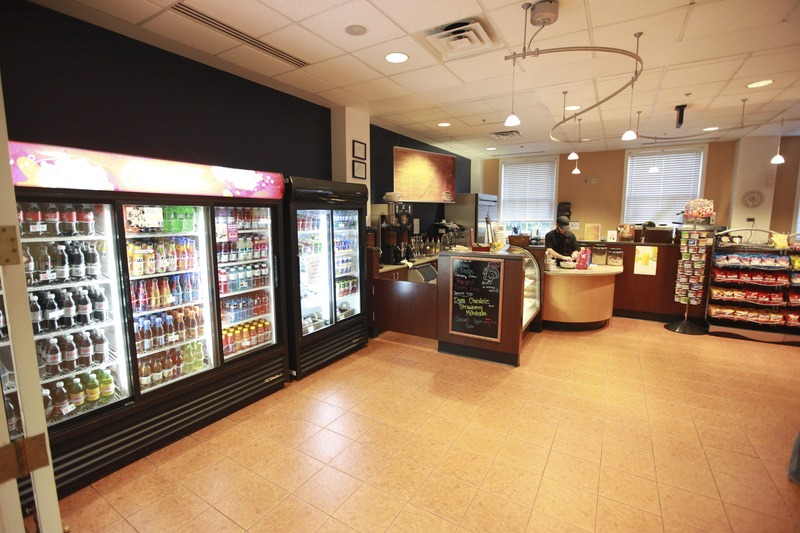 This café and coffeeshop is conveniently located to serve your needs in between classes or meetings. Founders offers a wide selection of drinks, sandwiches, wraps, and snacks. Founders delivers food items and bottled beverages from 11 a.m. to 9:00 p.m, Monday through Friday. A $3 delivery fee is charged and orders must be paid using credit card. Call (502) 897-4016 to place an order.